Our biggest weekend of the year starts tomorrow, as we head into Alexandra Palace for 3 days of wrestling goodness. 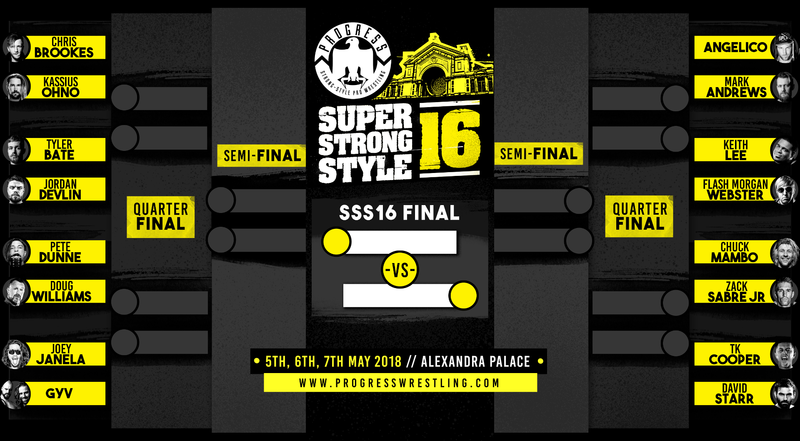 We'll have twice as many people watching over the weekend as have ever been able to see a Super Strong Style 16 weekend before, which is absolutely brilliant. Tickets are still available if you want to make that impulse decision to come along (and you know you do!) - day tickets start from £24 + booking fees and you can get them here. The venue box office will be open from 2pm or just before if you want to just rock up on the day too. Firstly - make sure you check out the preview podcasts that we've put out this week. There's one dedicated to the tournament and one to the non-tournament matches. You'll find them on iTunes and Soundcloud. If you want to see how we did the draw this year (clue: vodka pong), check it out here. And here's the tournament bracket. If you want to play along at home, there is a fill-out-able version right here (thanks to VilinskiKonjic for making it!). 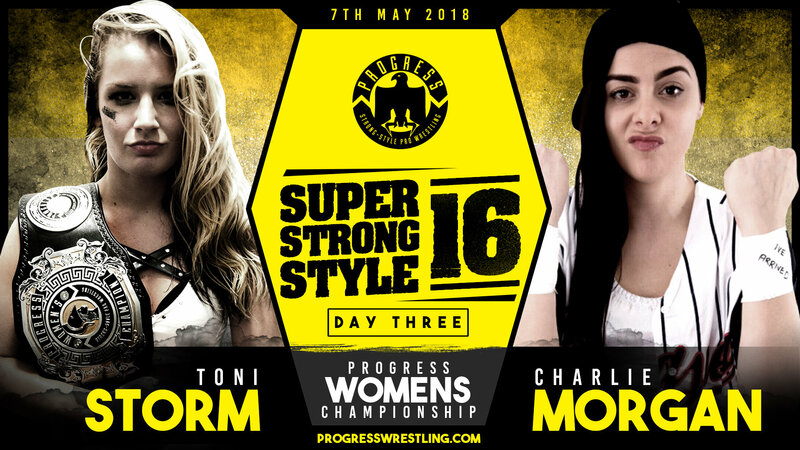 And after 2 straight wins and having revealed a little about her motivation for joining the House Of Couture (TLDR: she thinks she's better than being part of the House, but it was the only way she could get to Toni Storm, against whom she has a long-standing vendetta), Charlie Morgan challenges Storm for the Women's Title on Day 3. 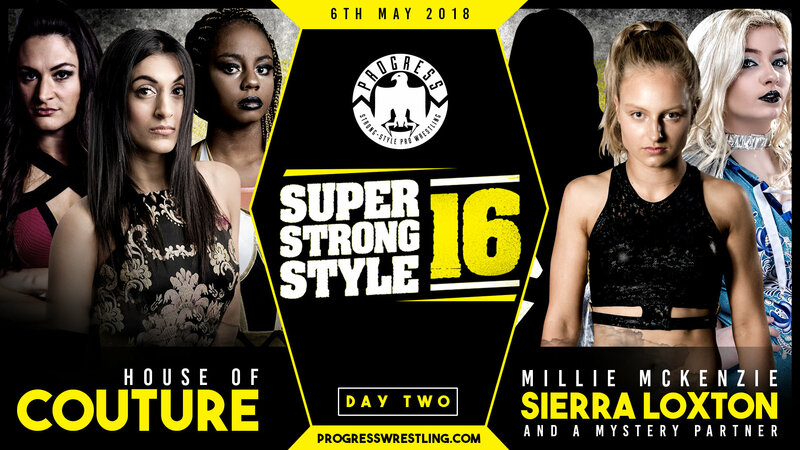 However - Jinny took against the suggestion that Charlie was bigger/better than the House Of Couture, and so has decreed that if Morgan loses that title match on Monday, her services will not be required on 20th May when Jinny challenges for the Women's Title. Clear? Cool? Cool. There will be more non-tournament matches happening over the weekend as well, but nothing that we can tell you about in advance, for obvious reasons. 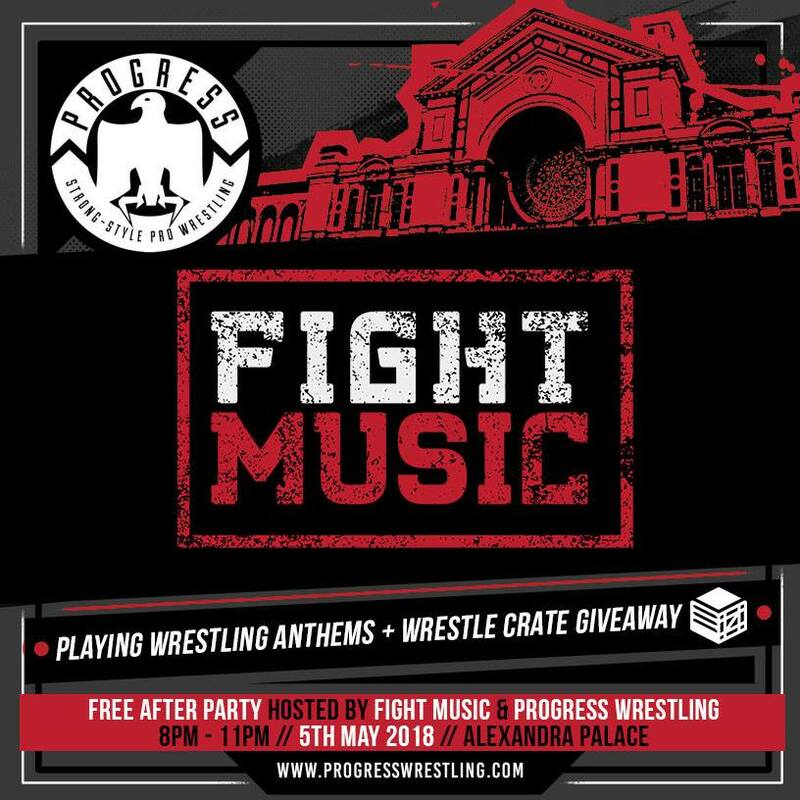 SATURDAY NIGHT - in conjunction with the guys at Fight Music, we are laying on a FREE afterparty in the Phoenix Bar & Kitchen (which is at Alexandra Palace). 8-11pm, free entry with your SSS16 ticket, it's a wrestling-themed club night with giveaways from Wrestlecrate and lots of other stuff going on. Please note that capacity for Fight Music is limited. 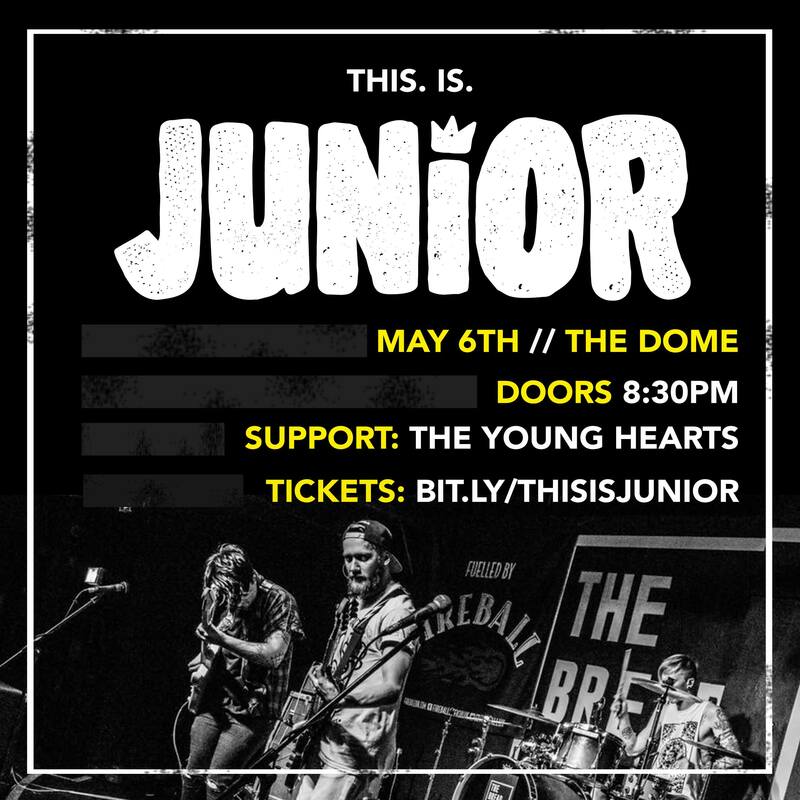 SUNDAY NIGHT - Mark Andrews's band Junior play their biggest headline show to date at The Dome in Tufnell Park, with The Young Hearts providing support. Tickets for this are a mere £10 available here until Sunday morning, otherwise cash on the door. Doors will open at 8.30pm with the first band on at 9pm, which gives plenty of time for you to get from Alexandra Palace to Tufnell Park. Alternative public transport routes can be found at TFL, or it would take about 20 minutes in a car from Ally Pally to Tufnell Park. If you're not signed up to Uber yet, do so now and use promo code UBERPROGRESS and you'll get some credit for your first ride. ALL WEEKEND - Lost Boys Pizza in Archway are offering 25% off your food bill when you present a valid SSS16 ticket. They're open from 12pm Saturday, 5pm Sunday. Doors open at 2, the show starts at 4, and we're aiming to be finished by 8pm each day. There are 8 matches on each day of the weekender, which means that finish time will be closer to 8 than 7.30. Your ticket guarantees you a seat for the section that you bought it for, but not a specific seat. There will be signs indicating where sections start and finish. There is a cloakroom available at the venue, it costs £2/item to use. 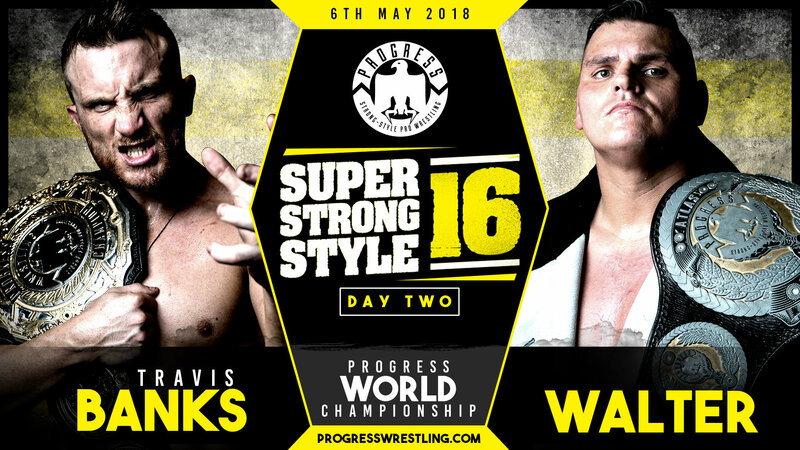 We will have a wide range of PROGRESS merch for sale (various different shirts, hats, hoodies, smaller items) and can take cash or card payments. If you're collecting pre-ordered merch, we need to see your order confirmation and some ID. Pre-ordered merch is not eligible for the Season Ticket holder discount. We've listened and acted on your feedback - there will be more bars, better food choices, and a larger merch area compared to last September. Food choices will include The Back St Diner, a stand offering vegan and vegetarian food, and a Mexican stand. There is also a large 'picnic area' where you can sit, chat, chill out, take a break if it's all a bit much, etc. We'll try and stick some pics up on our social media feeds when it's all up and running. Please note that you will not be allowed to bring in your own food and drink. There is plenty of free parking at Alexandra Palace, if you're driving. Be aware that the weather forecast is good though, so the public car park may be busy with people enjoying Alexandra Palace Park. If you're coming by public transport, take a look at the TFL website for the best public transport options. If you need to get an Uber and you're not signed up for the service yet, use promo code UBERPROGRESS and you'll get some credit for your first ride. Reckon that's it. Please be aware that we'll be providing full social media coverage of the entire weekend from Saturday morning, which means that there will be SPOILERS. Mute us if you don't want to see them. We'll aim to have the edited shows on Demand Progress within a week or so of each one happening. If you're coming, enjoy the shows, we are SO excited for them!